Affiliate marketing is one of the easiest ways of launching into an online business and making additional income from the net. However, there a number of challenges many new comers into this field face at the initial stage. Most of them quit along the way because of such challenges. While having a website is necessary for affiliate success, the ideal world of affiliate marketing does not require you having your own product(s), dealing with customers, refunds, product inventory and the likes. Assuming you are already into an affiliate program, what would be the next line of action you want to take. You goal as an affiliate would probably be to double, or even triple your commissions. How do you do that considering all the challenges out there? The number one challenge facing many affiliate marketing newbies is not knowing the best strategies that actually work. Today on the internet, there are thousands of poorly written e-books and other materials on affiliate marketing being distributed for free and for sale. Many of them teach techniques that are either not complete or are no longer effective. Ideas that are completely out of date and irrelevant in a fast growing world of internet. Many of these materials explain the basic details about how to build an affiliate website but leave out the most important issues such as how to write the website reviews and other quality contents, which is key to any online business success, and how to promote the contents to generate regular steady search traffic to the content pages. These two topics which are usually left out are actually the factors that affect your earnings the most. A good and popular product being sold by a respected merchant. Aggressive contents promotion via any available medium. As long as you have good educative contents on your website where you promote affiliate products, any prospects that you can attract to them will be a potential source of revenue. All the marketing is done by your website contents and pages. Once you have set them up correctly and put a traffic generating system in place for obtaining regular traffic, you can sit back and watch as your earnings grow steadily. 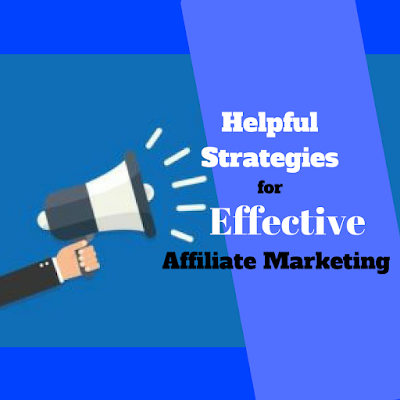 Here are some powerful tips on how to choose a right affiliate program. Selecting an affiliate company to register with is not always a simple task because there are hundreds of thousands to choose from. It is highly recommended that you stick with only a handful of affiliate programs because if you get signed up for too many, tracking each account with each of the different merchants you registered with may become a difficult task. There are thousands of affiliate programs online which gives you the reason to be picky. You may want to select the best to avoid losing the hard earned money you invested in building your website and promoting it. Know the best program and products to select and promote. Obviously, you would want to promote a program that will enable you to achieve the maximum profits in the shortest period of time. There are several factors to consider in selecting such a program. Choose the ones that have a generous commission structure. Have products that fit in with your target audience. Pick merchants that have solid track records of paying their affiliates easily and on time. If you cannot seem to increase your earning with a program you have chosen, dump that program and keep looking for better high paying ones. Does the merchant have good products? What is the quality of their products/services on offer? Do they pay high commission? Do they have a track record of successful affiliate relationship? It is usually safe to choose a merchant who you have personally done business with or who is well known in the industry for quality products. For example, you have no fear dealing with a household brand like Nike or a super store like Amazon because everyone knows that they are reputable and that their products are of good quality. Commissions vary from program to program. Digital product merchants like ClickBank and E-Junkie tend to offer higher commission rates usually in the range of 20% to 60% or more. The same e-book at a general online store like Amazon may fetch you a mere 4% - 7% in commissions per sale, while the same eBook will give you as high as 60% on ClickBank. Compare the commission rates with the ease at which you think the product can be marketed. Sometimes it may be best to go for fast selling goods that pay smaller commissions than slow selling products that offer high commissions but difficult to sell. You can also ask for higher than normal commission from merchants. If you are already successful with a particular promotion, you should try and approach the merchant and negotiate an increase in your commission for your sales. If the merchant is smart, he or she will likely grant your request rather than lose a valuable asset in you. Keep in mind that you are a zero-risk investment to your merchant; so do not be shy about requesting for a boost in your commissions. Just try to be reasonable about it. Try out this strategy and see the difference it can make to your commission checks in the shortest period of time. Do a search on Google for the program. Try to research and discover if there are comments and reviews from people who have used the program before. Try to see if you can find any reports and proof of someone who have actually received a commission from the merchant you want to join. Don’t rush this step. If the company has a bad history, hopefully someone migh have already posted about it on the internet. Use your favorite search engine, I guess is Google; and search for the name of the program appending terms like fraud, scam or payment proof at the end. For example, if the program is called Jumia Affiliates, search for phrases like Jumia affiliates scam, Jumia affiliates payment proof or Jumia affiliates fraud. If the program has a bad record you certainly will get the information using those search terms. Do they pay to your country? Receiving your payment is the most critical aspect of the whole affiliate marketing business. Of what use is all the time and effort put into making money when you cannot receive your earnings at the end of the day? The most common forms of payment offered by most merchants is Paypal, Direct deposit, Cheque, Wire transfer and Reloadable debit card. PayPal for example, despite its wide coverage, does not permit some countries to use their services. If you are in any of such country and you participate in a program that pays only with PayPal, you certainly cannot receive your earnings. To be double sure of whether you can receive commissions in your country for any affiliate program that you are considering joining, you can contact them through their website and find out if you can receive payments in your country. While many other merchants like Clickbank, E-junkie, E-bay will only pay affiliates through Paypal or direct deposit, both of which are not tenable in Nigeria, Amazon and Commission Junction pay (now known as CJ Affiliate by Conversant) to Nigerians living in Nigeria via cheque which you can cash through a domiciliary account.